A delightfully different design with detail on either side in a shell inspired shape. 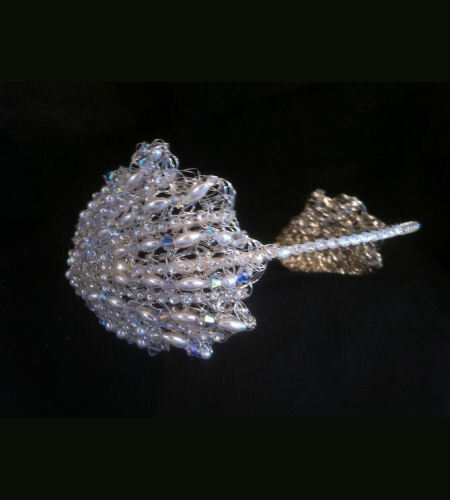 Constructed using our signature wire mesh trimmed with elongated pearls and glistening rows of diamante stones and crystal beads to add the perfect embellishment to this eye catching piece. Wear as headband or across the head in a conventional style.